UPDATE: Thursday, March 8th at 9:00 a.m.
An autopsy was performed on John Rowland on Tuesday at UPHS – Marquette. Investigators report that there is no obvious cause of death at this time. Final results of the autopsy are pending. Additional studies are currently underway. UPDATE: Saturday, March 3rd at 6:00 p.m.
John Rowland was found dead at 10:39 a.m. Saturday morning. He was found in a wooded area north of where the Chevrolet Astro van has previously been located. A UH60 Blackhawk Medevac helicopter from the Wisconsin Army National Guard, based out of West Bend, Wisconsin, located Rowland about 15 minutes after arriving in the search area. He was transported to the UPHS – Marquette morgue by Marquette Township Fire and Rescue. An autopsy is expected to be performed later this week. The investigation is ongoing, pending the results of the autopsy. A Cessna 172, operated by volunteer members of the Civil Air Patrol based out of Houghton, also assisted in the air search. Volunteers from Marquette County Search and Rescue assisted with ground support. The Marquette County Sheriff’s Office would also like to thank the public for sharing information and calling in tips. UPDATE: Friday, March 2nd at 4:00 p.m. 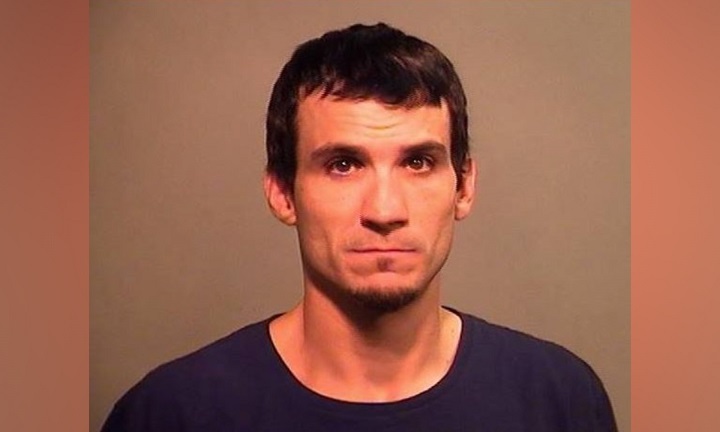 The Marquette County Sheriff’s Office has few updates in the search for John Rowland, the 36 year-old Skandia man who was last seen on February 23rd. The Michigan State Police helicopter that was supposed to aid in the search was diverted to the shooting at Central Michigan University. The Civil Air Patrol has accepted the mission to aid in the search and is currently searching the Forestville area. A recent tip advised that the maroon Chevrolet Astro van he was driving was stuck on Forestville road last Friday at SIX a.m. The immediate area of that van has already been located. UPDATE: Thursday, March 1st at 4:00 p.m.
John Rowland has not yet been located. Marquette County Search and Rescue searched the Forestville area this morning and afternoon and Michigan State Police officers are expected to assist with the helicopter search on Friday. According to a tip provided to the Marquette County Sheriff’s Office, the recovered maroon Astro van was stuck on Forestville Road as early as Friday, February 23rd. The public is encouraged to continue calling and sending tips including information on when the van was seen stuck on Forestville Road prior to 11:30 a.m. last Friday. MARQUETTE — The Marquette County Sheriff’s Office is looking for the public’s help in locating a missing person. Thirty-six year-old John Robert Rowland of Skandia Township was last seen in the City of Marquette on Friday, February 23rd around 3:30 a.m. Rowland was driving a friend’s maroon Chevrolet Astro van. The Astro van was found on Forestville Road near Huron Woods drive on Saturday, February 24th at 11:15 p.m. by the Marquette County Sheriff’s Office. Rowland is 5′ 11″tall, around 145 lbs, with brown eyes and brown hair. Anyone with information on Rowland’s whereabouts are asked to contact the Sheriff’s Office at (906) 225-8470, email llarson@mqtco.org or send a Facebook message HERE.